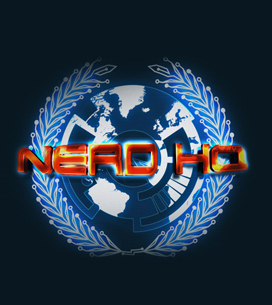 Geeky Conversations For A Cause at Nerd HQ 2012! It was *the* schedule that SDCC attendees and fellow Nerds/ Nerdettes were eagerly looking out for! After SDCC released their official schedules last week, Red Dot Diva and her friends were going crazy, and on edge waiting for more Nerd HQ information. Red Dot Diva's hair was all ready to fall out in agonized anticipation! Finally, about a day ago, the Nerd Machine (founded by "Chuck" star Zachary Levi and his good friend Dave Coleman) released a sneak preview of what Nerd HQ's Conversations for a Cause panels are being slated for this year's NerdHQ. Nerd HQ opened its doors for the first time at SDCC last year, and as an off-site venue that was also available to the public, it became quite the buzz in town. The smaller settings and more intimate panels were a definite draw with the fans. This year, Nerd HQ continues with more Conversations for a Cause panels that has an even more stronger Nerd slant! The guests - who have kindly donated their time to make their appearances - include Stan Lee (!! ), Joss Whedon (!!! ), Damon Lindelof (! ), Chuck cast, Psych cast, Nathan Fillion, Seth Green and even Zac Levi himself! 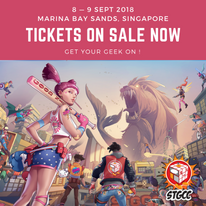 The Nerd Gods seem to be smiling at Red Dot Diva, because most of the panel timings fit in quite nicely with her planned schedule for the week! AHHH!!! Will she finally get to meet Zac Levi ... whose charming biceps she has been perving for years??? Curious who will be at Conversations for a Cause?? Click HERE! Tickets only cost $20 and are set to open for purchase right about NOW on this link! All proceeds will go to a worthy charity called Operation Smile, which provides surgeries for children with cleft lips and palates. Thanks also to the generous sponsors Xbox, Square Enix, VIZIO, and Break Media, who help to bring such a wonderful venue/ event to Nerds gathering in San Diego during Comic-Con week. And if you can't make it to San Diego this year, check out the live-streamings on Spike TV! Spike TV will be broadcasting the various Conversations for a Cause sessions live from Nerd HQ on Friday, July 13 and Saturday, July 14 to their network and digital outlets through their ALL ACCESS LIVE programming.